The Canadian Association for Stock Car Auto Racing (CASCAR) was founded in 1981 by Anthony Novotny. 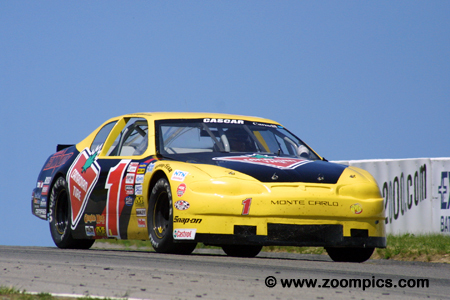 By the late ‘90s, CASCAR had three successful professional championships – the Eastern, Western and the Super Series which included selected events in eastern and western Canada. The winner of the Super Series was crowned the national champion. Eventually, the eastern division and Super Series merged while the western championship continued. 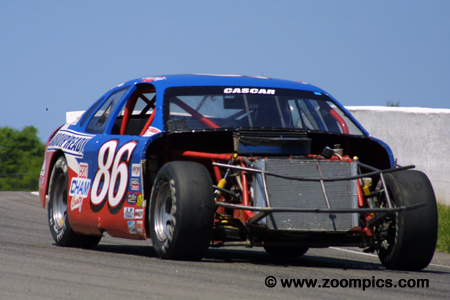 In 2003, CASCAR had a number of divisions - the Super Series, Emco Western Series and a Sportsman category. There were a couple of newsworthy items heading into the 2003 CASCAR season. The first of which never materialized was the threat of a new series. Second, at the year-end banquet, it was announced by Chrysler that if the winner of the 2003 Super Series title raced an Intrepid, they would receive a $20,000 bonus. One of the high profile teams, Whitlock Motorsports, switched from Ford to Chrysler in the off-season. 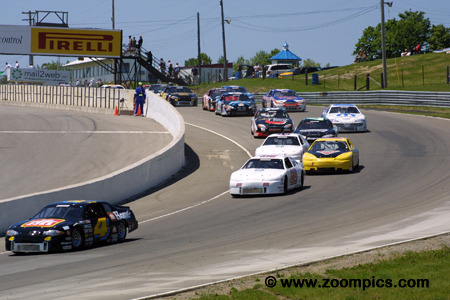 The 2003 CASCAR season opened in in late May at Delaware Speedway. The opening round was followed by races at Peterborough and the Mosport road course – the only road course on the schedule. The series remained in southwestern Ontario with events at Cayuga and the high profile Toronto street circuit. The teams then traveled west competing at Calgary and another street circuit in Vancouver. 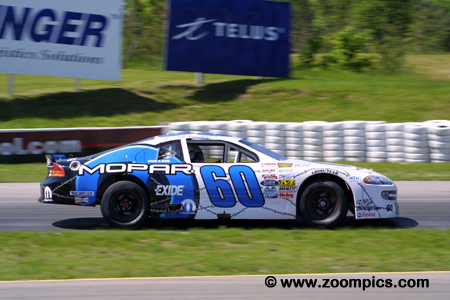 In August, the series stopped at St. Eustache, Quebec and another weekend at Mosport but this time it was on the oval. These events were followed by a race at Delaware Speedway. The penultimate round was the series second visit to Peterborough with the finale being held at Cayuga. There was a total of twelve race weekends in four different provinces. The cars competing in the championship are constructed to specifications and rules common to most stock car series. The chassis is a steel tube frame design covered with a fiberglass body. Cars are required to weigh no less than 2,850-lbs. Body styles are from manufacturers such as Pontiac (Grand Prix), Chrysler (Intrepid), Ford (Taurus) and Chevrolet (Monte Carlo). Engine type and displacement are dictated by the make and model of the vehicle. The carbureted eight-cylinder motors used in the series produce approximately 500-horsepower. Depending on the gearing, these cars are estimated to have a top speed of 160-mph. 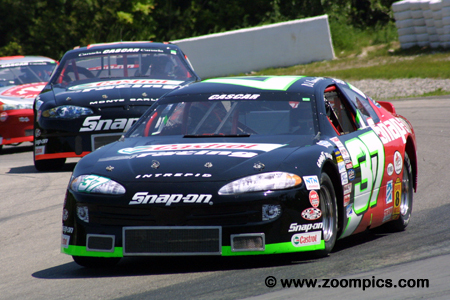 The event at the Mosport road course was round three in the 2003 Super Series championship. The event sponsored by Exide Batteries would be fifty-one laps around the ten-turn 2.459-mile road course. The pole-sitter, Don Thomson, Jr. gets a great jump on the rest of the field at the start of 2003 Exide Batteries 200. 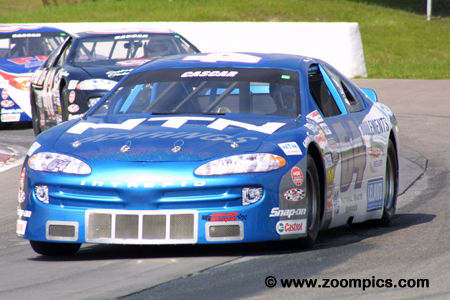 Thomson is followed by the Fastline Motorsports Chevrolet Monte Carlo of Jim Lapcevich. Falling in behind him are the Canadian Tire-sponsored Chevrolet Monte Carlo of Peter Gibbons and Lapcevich’s teammate, Jeff Lapcevich. A total of twenty-seven drivers participated in round three at Mosport. 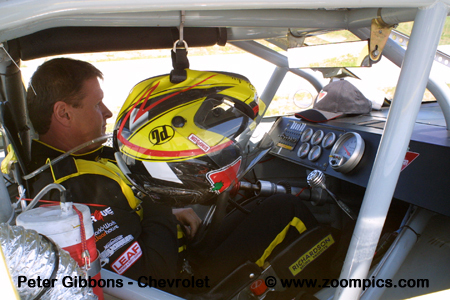 1999 and 2000 CASCAR Super Series champion, Peter Gibbons, had not won a race since the final round at Delaware in 2001. That was about to change for the driver of the Canadian Tire Monte Carlo. Gibbons was fourth quickest in the qualifying session. He led the event on three separate occasions – taking first place for the final time on lap-48 and won by a margin of 1.064-seconds. Ron Beauchamp, Jr. driving the No. 60 Chrysler recorded the eighth quickest lap in qualifying. Beauchamp’s best results in the first two races of the season were a pair of mid-pack finishes (twelfth at Delaware and Peterborough). On the road course at Mosport, he ‘stepped up his game’. Beauchamp took the lead on lap-40 and was in first place for eight circuits before being passed - finishing second. There were only a handful of Pontiacs in the field with the quickest being driven by Scott Steckly. In the first two races of the season, Steckly had mixed results – a seventh-place finish in the opener at Delaware but an eighteenth at Peterborough after starting fourth. At Mosport, he qualified the Schick Xtreme 3/Razor Magazine/ERB Transport seventh quickest and moved up the race order to grab the last spot on the podium. 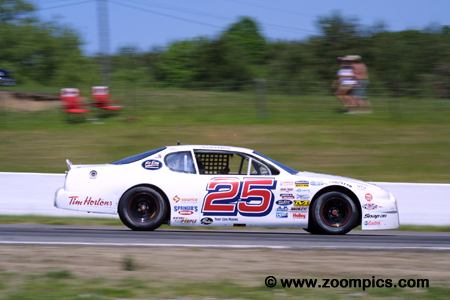 In the first two races of the season, championship point’s leader, Don Thomson, Jr. has scored two runner-up finishes. At Mosport, it appeared that he might win his first race of 2003. Thomson put the Home Hardware Chevrolet Monte Carlo on the pole and shot out front to lead the first sixteen laps. A lengthy pit-stop in the middle of the race dropped him to sixteenth place. Thomson was able to recover and finished fourth. Veteran campaigner, Mark Dilley drove the No. 64 Chrysler Intrepid with sponsorship from NTN Bearings. 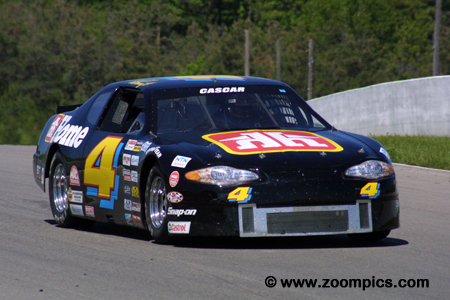 In the series last visit to Mosport, Dilley raced a Ford and finished fourth after starting sixth. In 2003, he qualified twelfth but at the conclusion of 51-laps, he was in fifth place. 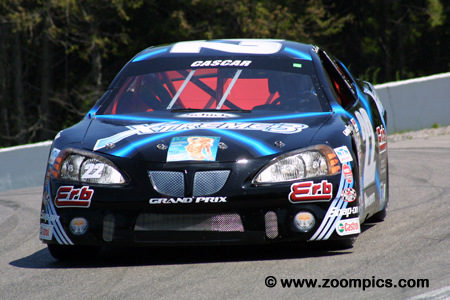 Dilley left Mosport fourth in the Super Series championship standings. The No. 86 Labour Ready Ford Taurus was driven by Kenny Forth. Forth’s 2006 season started with a fifteenth place finish at Delaware and a thirteenth at Peterborough Speedway. In qualifying at Mosport, he was twenty-second quickest in a field of twenty-seven cars. Despite an incident that required the removal of his front bodywork, Forth was able to finish in twentieth. There were two Lapcevich family members entered at Mosport -the quicker of the two (only slightly) in qualifying was Jim Lapcevich. Lapcevich driving the No. 25 Fastline Motorsports Chevrolet Monte Carlo recorded a time that put him on the outside of the front row. Third quickest in the second Fastline entry was Jeff Lapcevich. In the race, Jeff produced the better result finishing sixth while Jim was ninth. D.J. Kennington’s season was off to a good start – he finished ninth in round one at Delaware Speedway and at Peterborough was fourth after starting third. He had reason to be optimistic at the Mosport road course after qualifying the Snap-on Tools/Castrol Chrysler Intrepid sixth. Unfortunately for Kennington, his race went ‘downhill’ – he finished fifteenth and was the first car one-lap behind the winner, Peter Gibbons. 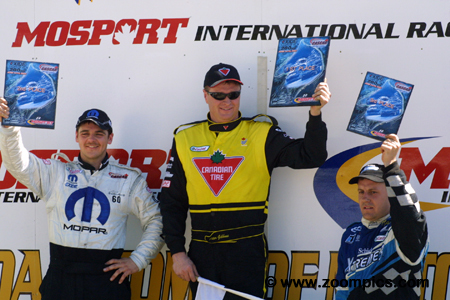 The CASCAR Super Series podium at Mosport International Raceway. On the left is the second place finisher Ron Beauchamp, Jr. and on the right completing the rostrum is Scott Steckly, who captured third. Between these two is the winner Peter Gibbons. Gibbons’ victory ended a fourteen race winless streak which dated back to September 2001 at Delaware Speedway.